The CURT 2-5/16" trailer ball does not mess around. Simply put, it is a solid piece of towing equipment that makes all others look like they're just spinning their wheels. CURT 2-5/16" trailer balls are made with expert engineering to be packed with strength and durable enough to withstand the harsh wear of heavy-duty towing. 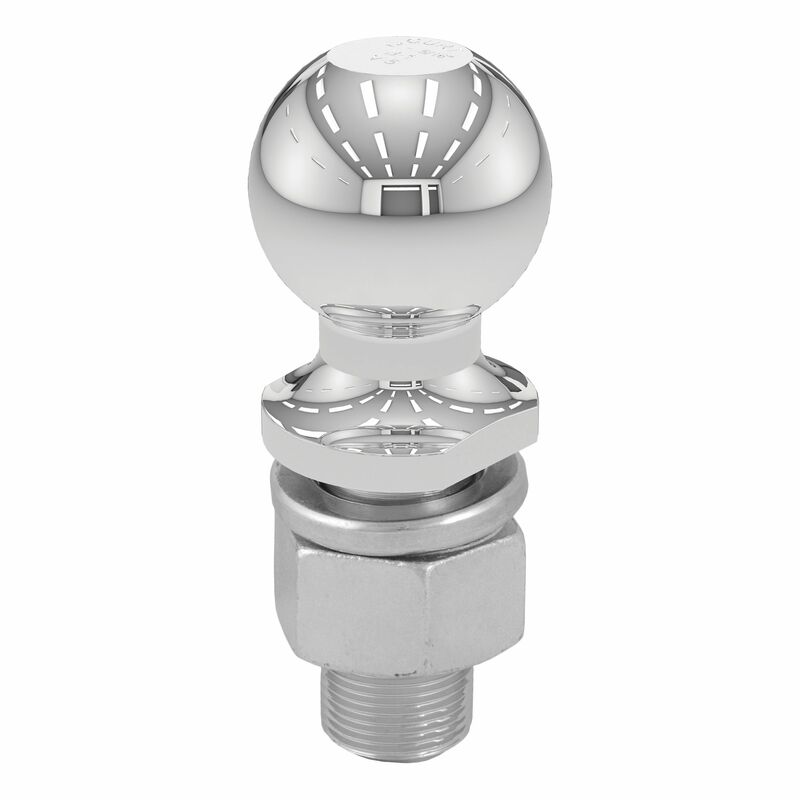 Anything your class 5 trailer hitch and class 5 ball mount can handle, CURT has a 2-5/16" trailer ball to match. These tow balls are perfect for towing all types of heavy receiver-style trailers, including dump trailers, toy haulers, farm trailers, chopper boxes, dual-axle utility trailers, deluxe RVs, small yachts and more (NOTE: Never exceed the lowest weight capacity of any towing component; i.e. the vehicle, hitch, trailer, etc). This 2-5/16" trailer ball features a ball capacity of 15,000 lbs. It features a 1-1/4" shank diameter, a 2-5/8" shank length, 0" of rise and a nickel-chrome finish to protect against the elements. To give you the power you need to tow with confidence, CURT 2-5/16" trailer hitch balls are thoroughly tested for safety and meet U.S. VESC specifications.